I had a request from a reader to include vegan recipes in this blog. My favorite vegan cookbook, Vegan Planet, had this recipe for Coconut-Cardamom Rice Pudding. It is a rich, creamy, sweet recipe that paired nicely with the Indian dinner I made that evening. I am a little torn on copyright issues, so I am choosing not to post the recipe in the blog. Since a recipe is a self-contained item, the way I read copyright law means I can't put an entire recipe in. This cookbook is one worth buying - the recipes have never failed me, and the food is accessible enough for people who aren't strict vegans. I can say that this is a different technic for rice pudding than I have used before, and was much easier. In the past I have made rice pudding in a similar method to making risotto, where the rice is coated with a fat (oil or butter) and then the milk is slowly added until the rice absorbs it, and necessitates constant stirring over a hot stove for at least 30 minutes. This recipe started with cooked rice that was then simmered with the coconut milk and sweetener, and produced a similar texture tot he more difficult method. I am going to go back on my hunt for the perfect vegan brownie, so if you have a recipe you like to use, please e-mail me! This recipe was developed for the TeaChef Recipe Contest sponsored by Adagio Teas, a company I often order tea online from. 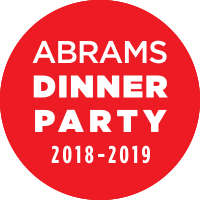 If you sign up, they send you a tea sample at the beginning of the month, you have time to develop and submit a recipe, and then a winner is chosen at the end of the month. It's not time to vote yet, but stay tuned! This recipe I think I can take credit for, as I took a few recipes I found and combined them. I think it is just delicious; it has the texture of apple cake, but the tea adds a delicate flavor (substitute any black english breakfast tea, or even chai) and the almonds add some variety. Again, this is an essential fresh fig recipe. Gently combine figs and tea; let stand 15 min. Mix together flour, almonds, cinnamon, nutmeg, baking soda and salt. In a mixer bowl, beat sugar, oil and eggs to mix; blend in flour mixture. Drain tea from figs but do not throw away. 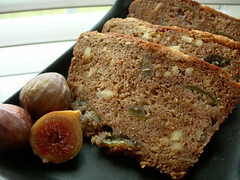 Gently stir in figs and ¼ cup tea; pour batter into well-greased loaf pan; bake at 350º F for 1-1/4 hours or until bread feels firm when gently pressed in center. Cool in pan 10 min., then invert onto a rack. Bread can be frozen for later use. Combine 8 oz softened cream cheese, 2 tbsp double strength Assam Melody tea, and 2 tbsp brown sugar. Serve with bread. To make these, you basically make a fig jam and layer it in between a crumbly oat mixture and bake it in the oven. I used a local honey with the figs for a very fresh farmers' market taste. The figs had to be cooked for two hours on the stove, which made them rich, sweet, and even softer, but I was hoping for the figs to lose even more of their shape. The resulting flavor was less fig newton and more fresh figs, which is great for featuring the flavor. I warned my co-workers that they would "really have to like fresh figs" to like these bars, but they were gone really quickly. 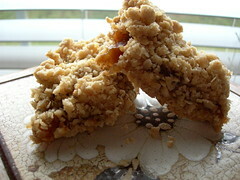 I would have liked the crumbly mixture to be less crumbly, so I would recommend cutting back either on the oats or flour. A co-worker brought me some fresh figs to bake with, and I had never used fresh figs before! It was exciting. I thought that all this time I hadn't been baking with figs because I never had any fresh ones, but most recipes (particularly for baked goods) actually call for dried figs. I especially was hoping to make cucidati, an Italian Christmas cookie I had in St. Louis, but all the recipes used dried figs. I will be making them eventually, just not for this purpose. 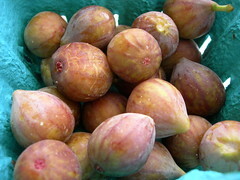 The best web site I found for fresh figs is the California Fresh Fig Growers Association. There is also an intriguing but simple recipe in an aphrodisiac cookbook that I have (Intercourses) for figs served with honey that I plan to try with the last pint. It is an interesting experience to bite into a fresh fig. The skin isn't tough, but you can definitely feel it. Really fresh figs are very soft and sweet, and while the seeds are there they aren't as prominent as in a dried fig. Please read further entries for what I did with the figs! Oh yeah, and from a co-worker, God hates figs. This recipe comes from the Food Network, and was just one of several recipes I printed off to use up some local peaches. What a problem, right? Having too many peaches? This coffee cake type treat was... okay. Not peachy enough for me. 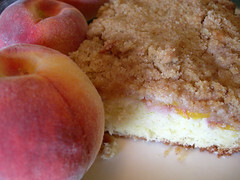 I would have been happier baking the crumb cake and then serving it with fresh peaches; this would have made a peachier flavor. 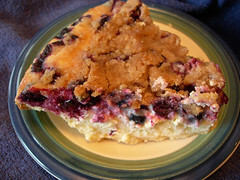 I made this pie from time to time at the tearoom I used to make desserts for, but I can't remember where I found the recipe. No copyright infringement intended! A creamy cheesecake layer is topped by fresh blueberries and a nutty streusel. While you could make it with canned or frozen, I would suggest blueberries fresh from the farmer's market. And don't leave out the fresh lemon zest and juice! It really makes the pie special. Combine 2 eggs and cream cheese; beat at medium speed until smooth. Add sour cream and next 5 ingredients. Stir well. Pour mixture into pastry lined pie dish. Coat blueberries with cornstarch. Sprinkle coated blueberries over filling. Bake at 400 F for 10 minutes. Combine 1/2 cup flour, brown sugar, and cinnamon. Cut in 1/4 cup butter until mixture resembles coarse crumbs. Add walnuts. Sprinkle over partially baked pie. Bake an additional 25-30 minutes, until center doesn't jiggle loosely. Chill 1 hour or overnight before serving. *I would actually recommend a 10" pie plate. Or a really deep dish 9" one. Otherwise you'll start adding the blueberries and everything will overflow. It will still taste good, but if this happens you might consider placing the pie plate on another baking sheet before sticking it in the oven. I may know this from experience.